It’s the time of year where just about anything your heart desires is available fresh and local here in Ohio. Farmer’s market tables groan under the weight of melons, zucchini, tomatoes, peaches. Oh the loveliness. Local Matters (whose mission is to transform the food system in central Ohio to be more secure, prosperous, just and delicious) hosts Local Foods Week every year. This year they have so many events from tastings to picnics to special local foods week tours. It’s kind of a party with produce all week. Which is awesome. Cooking with local produce is my personal favorite thing to do this week. But it’s summer, too, and if you ask me, that means cooking should be just barely above a simmer. If you’re in the house, lightly sauteed or not cooked at all are methods I can stand behind. Something has been stirring in me to make some more ricotta. It’s so easy, you know every ingredient that goes in it (milk, salt, lemon), and there’s such satisfaction in making your own cheese. I have, however, been distressed every time I’ve made it that I have so much whey left over after the curds separate out. I mean honestly. The cows at Snowville are such beautiful productive girls, how could I carelessly dump half of that milk down the drain? 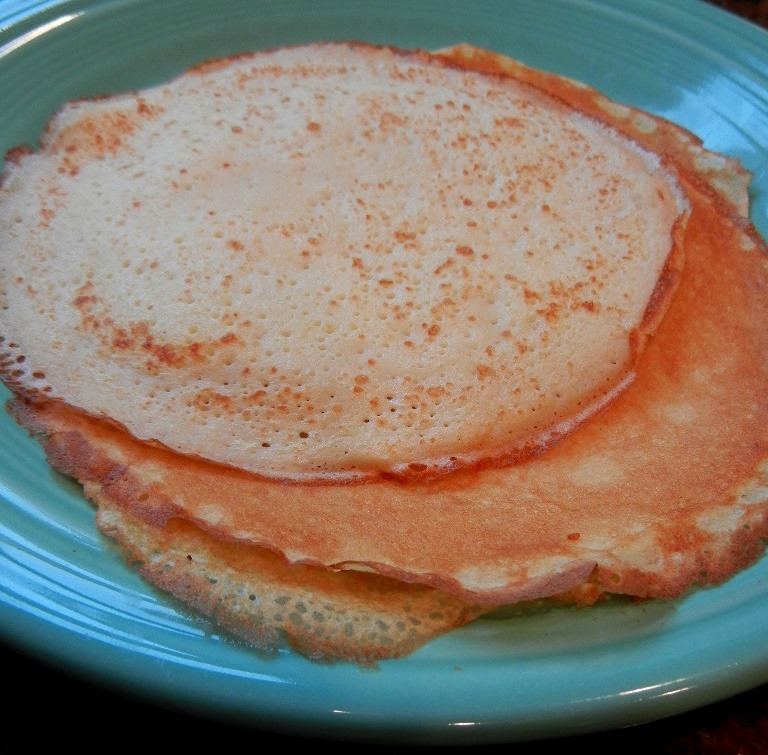 I happily came across this great recipe for whey crêpes that are the most delicious ones I’ve ever had that weren’t made by a French person. They are staggeringly good. There are fireworks on New Year’s Eve for a reason. It’s a time for the best we’ve got. A dinner like this requires a lot of you. But oh my, is it worth it. And the one you make it for will think so, too. And I’m sure they’ll be grateful. I cooked a lot today. I picked one and a half pounds of snow crab. Kind of tedious. Made a stock from the crab shells and froze it. Easy. 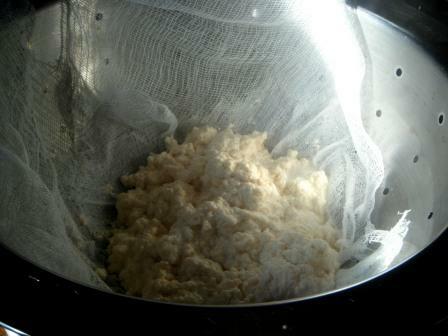 Cooked up a batch of ricotta. Simple, but a little time-consuming. Mixed up a big batch of homemade pasta. Great workout. Rolled said pasta into lasagna noodles. Time consuming, but simple. Assembled said pasta and crab, etc. into rollatini. Pretty simple. Bake. But my oh my, look what happened to the time! Nothing today was difficult, but it all took time. That seductive, elusive siren: time. Everyone (hello, Thirty Minute Meals) will tell you that you don’t have enough of it, that you have to squeeze more out of what you’re given. Don’t believe them. Take pleasure in the cooking tasks in front of you. Your end results are what nurture you and those you love. For a real wow factor, make something at home that is worth both your effort and your time. 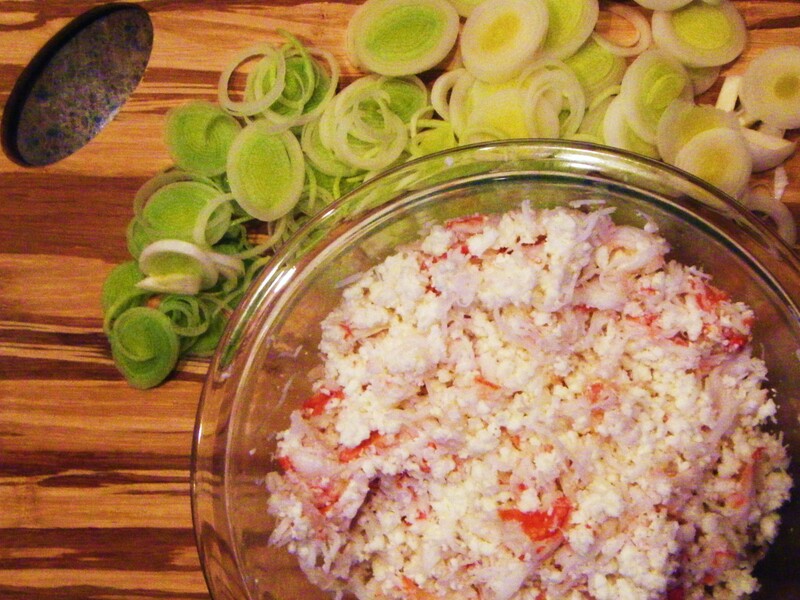 Mix 2 cups of cooked crab, 2 cups of ricotta, 1 leek that’s been sautéed in olive oil, 6 stems’ worth of picked thyme leaves, salt and pepper to taste. Reserve a spoonful of the filling for garnish. 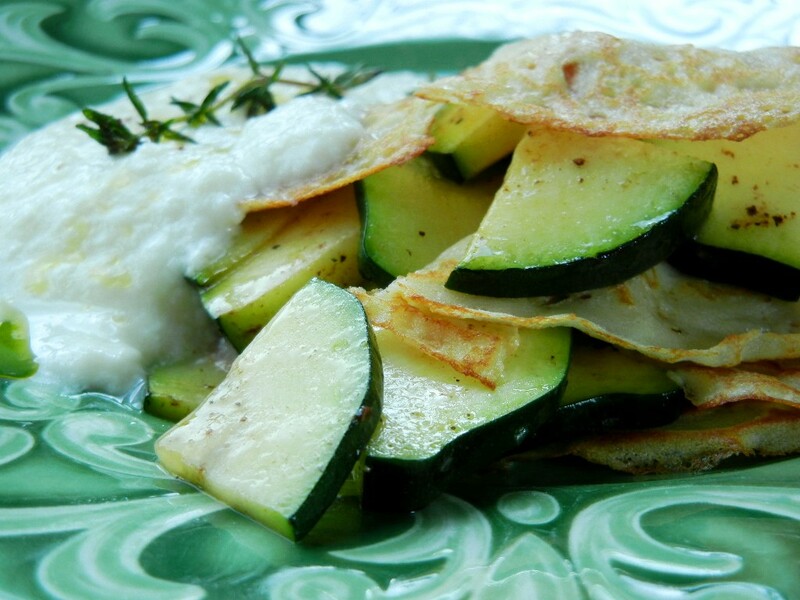 You will find a large variety of fresh pasta recipes online and in cookbooks. A quick guideline ratio is 1 cup of flour to 1 egg plus one egg yolk. I follow the recommendation of the flawless Marco Pierre White. Easy. Accurate. Delicious. I grated the remainder of our truffles (three tiny ones) into the dough. Please try to add this if you can. It makes a world of difference. I rolled the mixture into rollatini (heaping bits of the mix along the length of the pasta), greased the dish with truffle butter (thank you, Snowville and Greener Grocer) and baked for 20 minutes at 350 F. You may do as you wish. Cut your pasta into strips for papardelle and toss with the crab mixture. Make ravioli and use the crab as the filling. Just know that by making your own pasta you will attain new heights of flavor. At the end of the day, this dish is about the transformative power of cooking. The pasta is flour and eggs. The cheese is simply warmed milk and a bit of lemon. The truffles and leeks are pure earthiness. Do yourself a favor – take the time to make something extraordinary. It’s that time of year for fireworks. Playlist included Wow, by Kylie Minogue. On repeat. Remember how I said it was really easy to make butter? It turns out that it’s also extremely easy to make cheese. Fresh ricotta can be made at home in about ten minutes. There are a ton of recipes out there: ones that call for lemon, ones that call for vinegar, some that call for heavy cream, some that call for whole milk. The method I used was to bring five cups of whole milk to a boil over medium high heat and stir in juice from a whole lemon. I added two tablespoons of vinegar instead. The milk split almost immediately. Awesome! I stirred a bit more and poured the cheese into a cheesecloth (what it’s actually for!!) lined colander over a bowl. I’ll let it drain in the fridge for another hour or two then use it in tonight’s vegetarian pasta dinner. The non-local ingredient in this post was the vinegar.